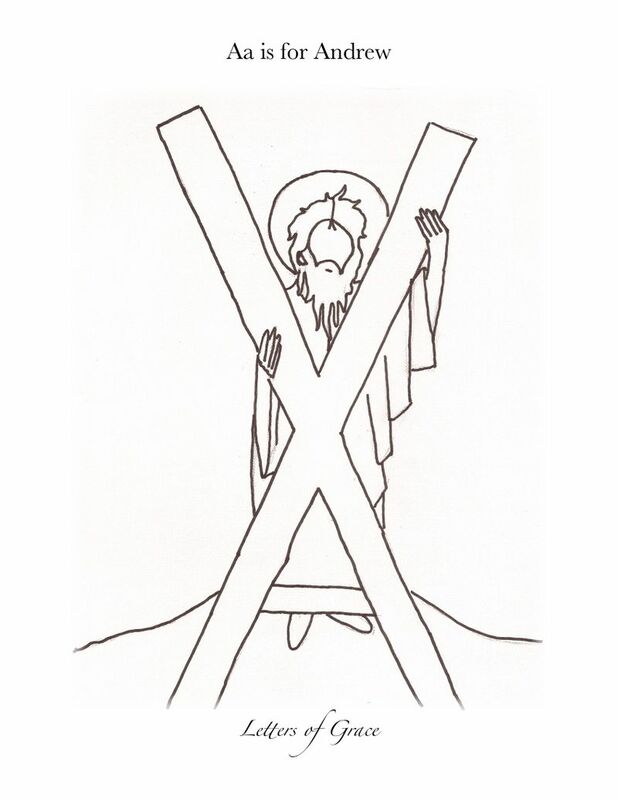 The first day of the undated, weekly lesson plan begins with the theme Ss is for Saint. 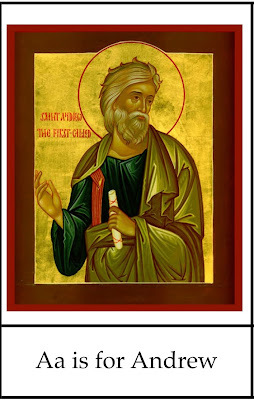 An Orthodox curriculum by necessity must be centered on our Faith and each week begins with the story of a saint whose name begins with the letter of the week. Careful attention was given to the selection of the saints for this curriculum. 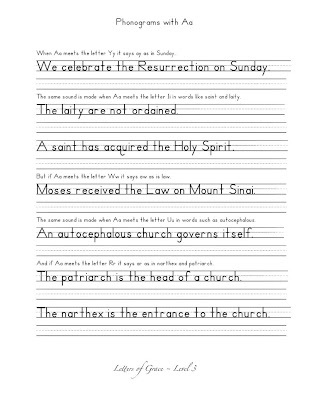 We could not ignore the need for a systematic introduction to phonics and for this reason, avoided long vowels and soft or blended consonant sounds in choosing the name of the saint for each week. 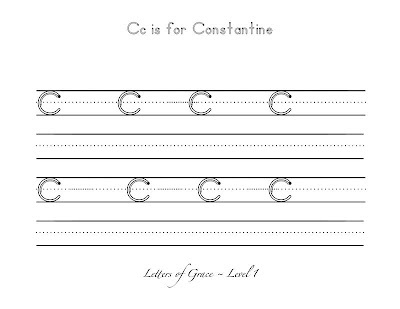 The lesson begins with the introduction of the letter of the week through original art work. Inspired by the illustrations found in Waldorf alphabet books such as Schrager's LMNOP and All the Letters from A to Z and Zonneveld's The Waldorf Alphabet Book, we have taken the concept of letter art and given it a Byzantine twist. 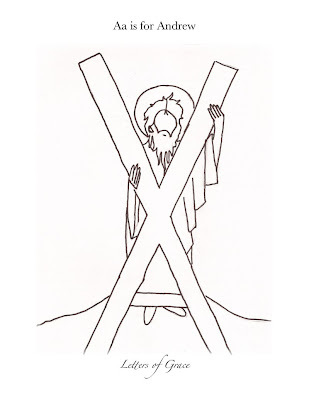 The art will be available as a PDF and can either be viewed on the screen or printed for the child's learning notebook. A black line drawing of the weekly alphabet art will be available for the child to color and keep in the notebook as well. After the saint and letter of the week are introduced, an Orthodox children's book on the life of the saint is scheduled to be read. These books will more than likely be the only book selections that are not readily available from the public library. 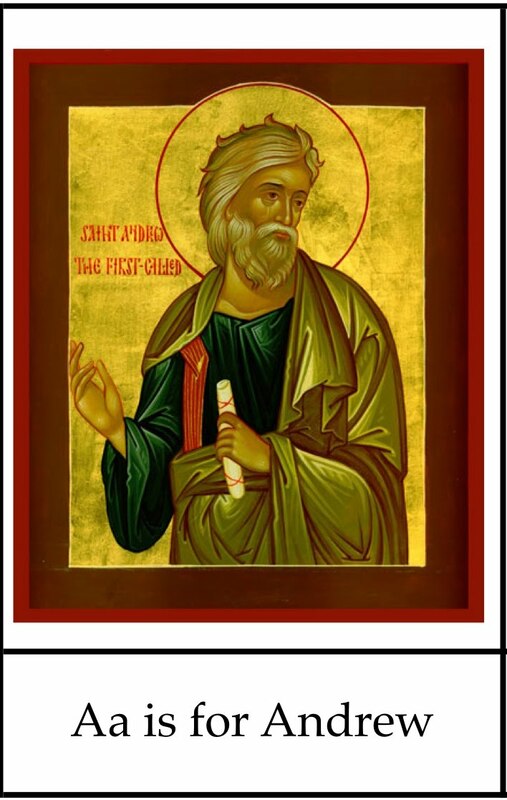 We hope that the slow addition of Orthodox literature in the home library will give families a larger variety of books to read when using the resource Reading Through the Year of Grace. Once our spiritual reading is finished, we will move on to phonics instruction. With three levels in mind, we have made every attempt to cover the many stages of development. At this point we are in the process of creating pre-writing sheets for the younger sibling who is interesting in following along, but not quite ready to begin formal learning. The goal is fine motor skill practice for the aspiring writer. 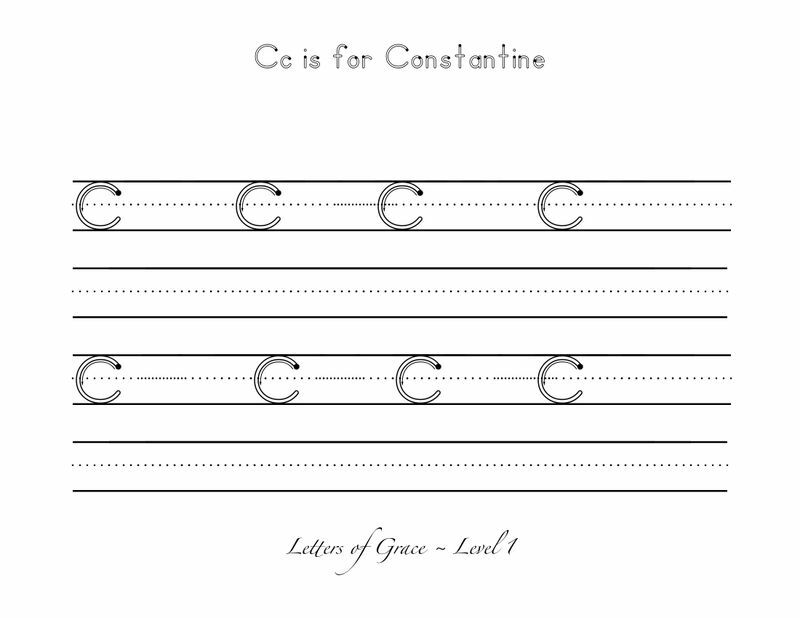 The first level of Letters of Grace assumes a child's initial introduction to the formation of letters. 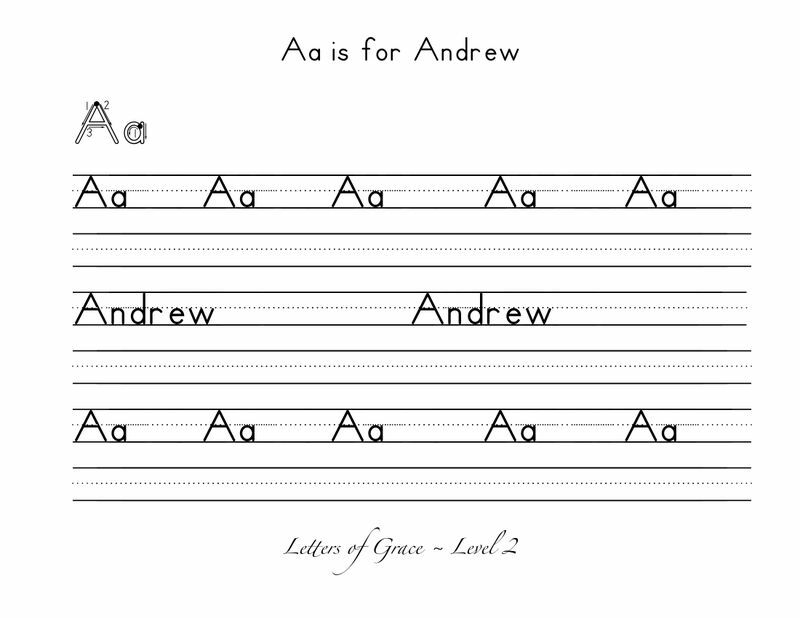 While short vowel and hard consonant sounds will be briefly introduced throughout the week, letter recognition and basic formation are the primary goals of Level One. 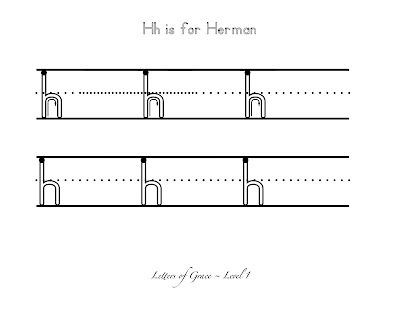 Within the first level, you will find two sub-levels of letter formation instruction from which to choose. Both will be available for download and printing. 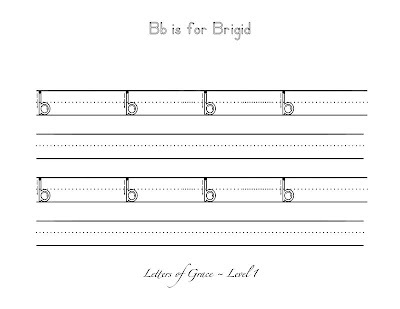 As the pages are available as a PDF, the child will be offered an unlimited opportunity for practice. The introductory series, My First Letters, was created for the child who is relatively new to working on fine motor writing skills and needs a large letter for formation practice. 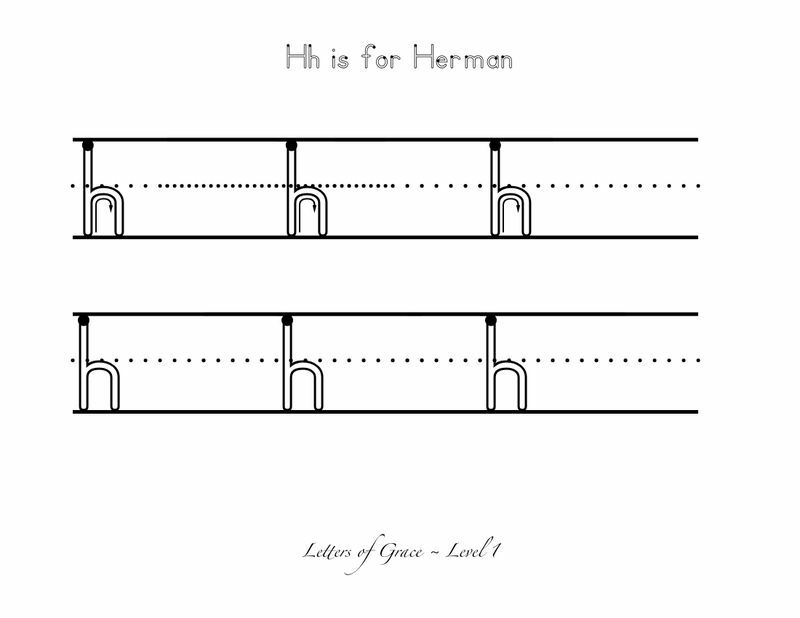 Both the lower and upper case letter of the week will be available for unlimited download and printing. 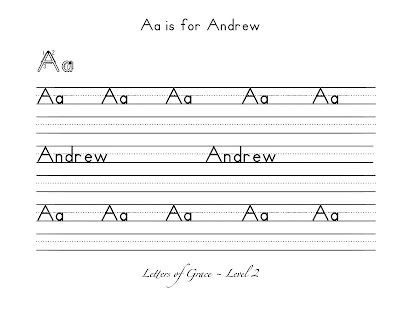 Some children will begin Level One with previous letter formation experience and the second sub-level of handwriting instruction was designed for the young child who needs further practice in formation. The model letters offer guided arrow instruction in letter formation and assure that the child is writing them properly. The child working in Level One will benefit from two sets of Montessori-inspired three-part cards. 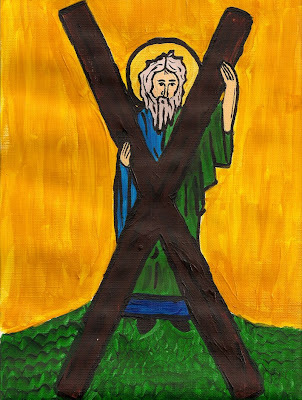 The first set uses the Letters of Grace original artwork, while the second set offers an opportunity for the child to gain familiarity with the icon of each saint. These cards can be used in future years as well. 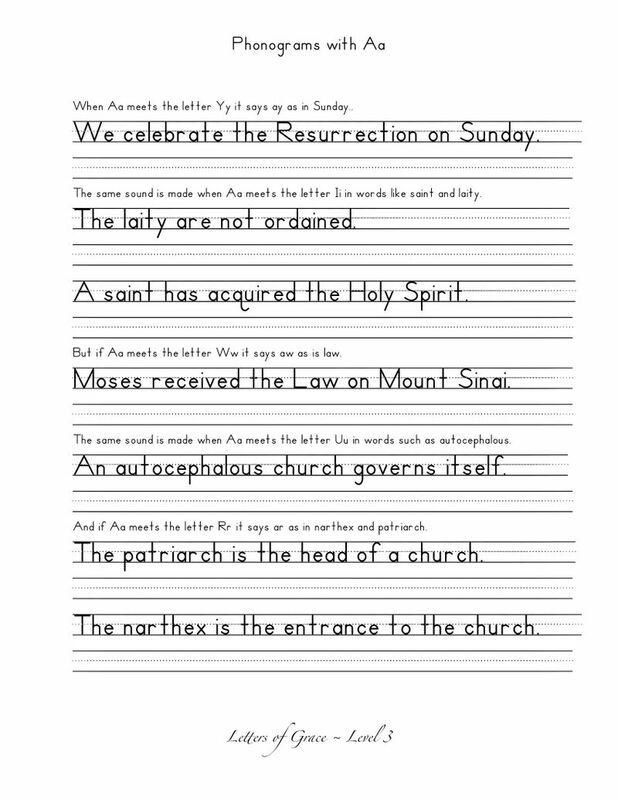 For the child working in the second level of Letters of Grace, you will find more opportunity for letter formation practice, along with an introduction to writing words. A second level of phonics is introduced in this level as long vowel sounds will be taught along side the introductory short vowels. 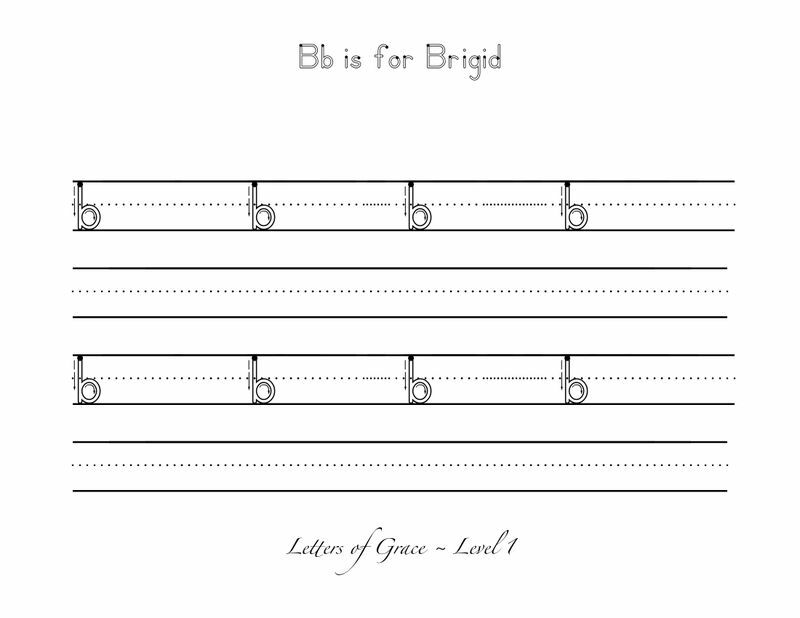 Companion reading lessons using the Bob Books series along with additional spelling practice and introductory copywork sheets created for Letters of Grace will be introduced in a future post. As we mentioned in the planning post, please feel free to leave any questions in the comment box or send them via email. We are collecting them to answer in a post after the Letters of Grace tour is complete. Next stop on the tour? Cc is for Cooking.